When the court orders you to comply with an order, you must comply with that order. Failing to comply with a court order is known as contempt of court. Court orders can be made for actions that occur outside the courtroom, such as orders to pay child support or comply with a subpoena, as well as orders regarding courtroom conduct. There are two forms of contempt of court: civil and criminal. Like with other charges that can result in penalties, it is important that you defend your case against the charge with the aid of an experienced criminal defense lawyer. Your defense strategy can potentially have the charge reduced or even dropped entirely. Civil contempt of court is defined as any failure to comply with a civil court order, such as an order to pay child support or an order to turn over certain records to the court. Despite its name, a charge of civil contempt of court can have criminal penalties, including fines and incarceration. The penalties imposed for civil contempt of court are meant to coerce the offender into compliance and restore the wronged party’s rights. 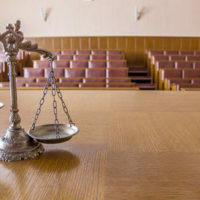 A sanction for civil contempt of court ends with the conclusion of the case during which it occurred or when the alleged offender complies with the court order. Criminal contempt of court includes any actions that disrupt a court proceeding, such as yelling at a judge, refusing to testify, and disrupting a trial. Unlike civil contempt of court penalties, criminal contempt of court penalties are meant to punish alleged offenders and can live on as separate charges long after their cases are resolved. Individuals charged with criminal contempt of court have the same rights afforded to individuals charged with other criminal offenses, such as the right to legal counsel. Like other criminal charges, criminal contempt of court charges must be proven beyond a reasonable doubt to find the alleged offender guilty. Direct contempt of court occurs when an act occurs inside the courtroom. Indirect contempt of court occurs outside the courtroom. Typically, civil contempt of court occurs indirectly and criminal contempt of court occurs directly, but this is not always the case. Your lawyer can help you defend your case against a contempt of court charge to avoid its penalties. As soon as you are notified of your contempt of court charge, seek legal counsel to start developing an effective defense strategy. If you have been charged with contempt of court, work with an experienced criminal defense lawyer to defend your case. If your court order was not related to criminal law, the lawyer who handled your previous case might not have the expertise to effectively help you defend your case against the charge. Contact our team of Miami criminal defense lawyers at Ratzan & Faccidomo, LLC today to set up your initial consultation with a member of our firm.